湖泊科学 2016, Vol. 28 Issue (1): 94-104. DOI: 10.18307/2016.0111. 俞振飞, 徐东坡, 王国祥, 周彦峰, 吴晓东, 张敏莹, 苦草(Vallisneria natans)衰亡对水-沉积物之间磷迁移的影响. 湖泊科学, 2016, 28(1): 94-104. DOI: 10.18307/2016.0111. YU Zhenfei, XU Dongpo, WANG Guoxiang, ZHOU Yanfeng, WU Xiaodong, ZHANG Minying. Effects of decline phase of Vallisneria natans on phosphorus transportation between water and sediment. Journal of Lake Sciences, 2016, 28(1): 94-104. DOI: 10.18307/2016.0111. 摘要：采用沉水植物苦草(Vallisneria natans)为研究对象, 在其衰亡期测定群落内、外上覆水及沉积物各形态磷的含量, 以探究沉水植物在其衰亡期对上覆水和沉积物中各形态磷的影响.结果表明:苦草衰亡过程中上覆水中总磷、可溶性总磷、溶解性活性磷、颗粒磷、可溶性有机磷浓度的变化相对平稳, 与对照组相比无显著差异; 沉积物中各形态磷含量均呈小幅度上升趋势, 在实验结束时, 苦草组沉积物中总磷含量为719.27 mg/kg, 和初始值比增加了14.68 mg/kg, 无机磷和有机磷含量分别增加了12.06和2.20 mg/kg, 氢氧化钠提取磷和盐酸提取磷含量分别增加了7.05和4.29 mg/kg.总体来看, 沉水植物苦草在其衰亡过程中分解速率较慢, 对水-沉积物之间各形态磷含量无显著影响. Abstract: In order to study the effects of submerged macrophytes on different forms of phosphorus during decline phase, we adopted Vallisneria natans as the study object and measured the content of phosphorus in water and sediment. Results showed that, in water, total phosphorus (TP), dissolved total phosphorus, soluble reactive phosphorus, particles phosphorus, and dissolved organic phosphorus in V. natans changed steadily, without any significant difference compared with control groups, while all forms of phosphorus in sediment had a little rising trend. At the end of the experiment, the content of TP was 719.27 mg/kg in the V. natans sediment, and was 14.68 mg/kg higher than the initial value. The inorganic phosphorus, organic phosphorus, NaOH-P, and HCl-P contents raised for 12.06, 2.20, 7.05 and 4.29 mg/kg, respectively. The results indicated that decomposition rate of V. natans was slow and there was no significant effect of V. natans decomposition on the different forms of phosphorus between water and sediment. 沉积物利用彼得森采泥器采自南京典型富营养化水华暴发水体——月亮湾(32°06′10″N，118°54′14″E).采集的样品低温风干后过100目筛，去除粗粒及动植物残体，然后充分混匀.将混匀后的沉积物置入高密度聚乙烯桶(顶直径×底直径×高=55 cm×45 cm×75 cm，实验桶预先经过5 %的HCl处理后用蒸馏水冲洗干净)，沉积物平均厚度为10 cm，干重为4821.00g.然后缓慢注入暴晒3d后的自来水100L(总磷(TP)浓度为0.02 mg/L). 水样采集采用虹吸管抽取的方式，每次采集水面以下5、20和45 cm处的等体积水(50 ml)混匀.并每隔30 d补充一定量的无磷水，以弥补蒸发和采样带来的水量损耗.直接采用过硫酸钾氧化法测定上覆水TP浓度；将水样预先过0.45 μm孔径的醋酸纤维滤膜，而后用过硫酸钾氧化法测定可溶性总磷(DTP)浓度；将水样预先过0.45 μm孔径的醋酸纤维滤膜，而后用钼-锑-钪比色法测定溶解性活性磷(SRP)浓度.用Skalar(荷兰)流动分析仪测定磷浓度.颗粒磷(PP)浓度为TP与DTP浓度之差，可溶性有机磷(DOP)浓度为DTP与SRP浓度之差.每个样品均重复测定3次. 在本实验条件下，苦草组在衰亡过程中上覆水中各形态磷浓度的变化相对较平稳，与对照组相比均无显著差异(P＞0.05).苦草组上覆水中TP浓度先降低后上升，然后保持在相对稳定水平，在实验第20 d达到最小值(0.037 mg/L)，在第40 d缓慢上升，在第50 d时，上覆水中TP浓度达到0.059 mg/L，较实验初始时上升了0.018 mg/L，然后在实验第70~110 d期间，上覆水中TP浓度均保持在0.057 mg/L，保持在相对稳定的水平，且在实验期间苦草组上覆水中TP浓度相对低于对照组.苦草组其他各形态磷浓度在衰亡过程中变化也相对较平稳，在实验结束时上覆水中DTP、SRP、PP、DOP浓度分别为0.046、0.007、0.011和0.040 mg/L，较实验初始值分别上升了0.013、0.0026、0.0030和0.011 mg/L，且在实验期间苦草组上覆水中DTP和DOP浓度相对低于对照组(图 1).因此，苦草在其衰亡过程中并没有引起上覆水中各形态磷浓度的显著升高. 在本实验条件下，苦草组在衰亡过程中间隙水中各形态磷浓度均呈明显的下降趋势，苦草组各形态磷浓度均显著低于对照组(P＜0.05).在实验第70 d时，苦草组间隙水中DTP、SRP、DOP浓度均达到最低值，分别为0.20、0.13和0.060 mg/L，较实验初始值分别降低了0.29、0.20和0.11 mg/L.在实验结束时(第110 d)，苦草组间隙水中DTP和DOP浓度较第70d时出现小幅上升，分别达到0.23和0.10 mg/L.在整个实验过程中，对照组间隙水中各形态磷浓度均保持在相对平稳的水平(DTP：0.55 mg/L；SRP：0.32 mg/L；DOP：0.23 mg/L)，在实验第110 d时，对照组间隙水DTP和DOP浓度较第70d时出现小幅上升，分别上升了0.08和0.11 mg/L(图 2).因此，苦草在其衰亡过程中并未使得间隙水中各形态磷浓度升高，反而使得间隙水中各形态磷浓度呈显著下降趋势. 在本实验条件下，苦草组在衰亡过程中沉积物中各形态磷含量均呈小幅度上升趋势，但是苦草组和对照组各形态磷含量差异性均不显著(P＞0.05).在实验结束时苦草组沉积物中TP、氢氧化钠提取磷(NaOH-P)、盐酸提取磷(HCl-P)、无机磷(IP)和OP含量分别为719.27、239.82、296.70、465.31和212.13 mg/kg，和实验开始时初始值相比较，分别上升了14.68、7.05、4.29、12.06和2.20 mg/kg(图 3).在实验结束时，NaOH-P和HCl-P升高量分别占IP升高量的58.46 %和35.57 %；IP和OP升高量分别占TP升高量的82.15 %和14.99 %.实验结果表明，苦草在衰亡过程中能使沉积物中各形态磷含量出现不同程度的升高，然而苦草组在衰亡过程中沉积物中各形态磷含量上升幅度较小，且与对照组各形态磷含量无显著差异，说明苦草衰亡过程对沉积物中各形态磷含量并未出现显著影响. 水生植物分解是一个复杂的生物物理化学过程，受到众多因素的影响.周边环境条件对水生植物的分解影响很大，例如温度、营养环境以及周边微生物的分布等均会对水生植物的分解产生很大的影响.温度是影响水生植物分解速率的重要环境因子之一，温度升高使微生物的活动变得活跃，从而加快植物分解的速率.Melillo等比较了不同季节水生植物腐烂分解速率的变化，发现夏季水生植物残体分解速率明显高于冬季.叶春等研究表明，随着温度的升高，黑藻分解速率也明显加快.由于植物自身的结构特点，不同沉水植物在衰亡期分解速率存在较大的差异，顶冠蓬伞状黑藻和菹草在衰亡期分解速率相对较高，而苦草则相对较低.根据本实验条件下苦草衰亡的实际进展，分别于实验开始后的第0、40、70、110 d统计苦草的生物量指标，计算出苦草在其衰亡过程中生物量的变化过程(图 4).在本实验条件下，苦草分解速率在实验前40d最大，平均为2.29 g/d；在第40~70 d时，苦草分解速率平均为1.96 g/d；在第70~110 d时，苦草分解速率达到最低，平均为0.63 g/d.在整个实验过程中，温度持续下降(图 5)，使得苦草分解速率保持在相对较低的水平，平均为1.60 g/d，实验期间苦草较低的分解速率给沉积物以充足的缓冲时间，从而影响上覆水中的磷浓度，使得苦草组上覆水中的磷浓度无明显波动，这可能是导致实验期间苦草组上覆水中TP及其他各形态磷浓度变化相对平稳且较低的主要原因. 温度对沉积物磷的迁移转换具有重要的影响.沉积物对磷的释放随温度升高而增强[42-43].研究表明，随温度的升高，磷释放过程中的物理化学反应平衡向溶解、解析的吸热方向移动，同时也提高了反应速率以及扩散速率；另一方面，温度升高促进了沉积物中的生物活动，特别是微生物的活性增强，耗氧增多，溶解氧减少，从而使氧化还原电位降低，使Fe3+还原为Fe2+，磷从正磷酸铁和Fe(OH)3沉淀物中释放出来[44-45].王庭健对南京玄武湖沉积物磷释放的模拟实验表明，35℃比25℃时磷的释放率提高了1倍；Boers等分别采集夏、冬季湖泊沉积物, 并分别在20、13、5℃模拟磷释放实验, 研究发现冬季样品的释放率没有明显的变化，而夏季样品则对温度十分敏感，每提高10℃磷释放率平均提高2倍；Liikanen的实验也证明，无论好氧与厌氧，磷的释放都随温度升高而增加，温度升高1~3℃，沉积物中TP的释放增加9 % ~57 %.实验期间温度一直处于下降趋势(图 5)，抑制沉积物中的磷向上覆水中释放，这可能是导致在实验后期上覆水中磷浓度呈降低趋势而沉积物各形态磷含量呈上升趋势的另一个主要原因. 植物体腐烂会导致有机质矿化[49-51].有机质本身是沉积物中主要磷库之一，同时又可以通过吸附影响磷的释放.有机质含量是影响沉积物吸附磷非常重要的原因之一.沉积物中有机质大部分与沉积物中的无胶体结合在一起，形成有机无机复合胶体.其中腐殖质能和铁、铝形成有机无机复合体，提供重要的磷酸盐吸附位点，从而增强沉积物对磷的吸附.也有研究表明有机质释放出的H+可使矿物表面基团质子化而有利于磷的吸附.有机质还能抑制无定性铝和铁氧化物的晶质化过程，提高其对磷酸盐的吸附能力.在苦草衰亡实验中，苦草衰亡腐败分解过程中植株腐败分解使得沉积物中各形态磷含量略升高，然而幅度较小，且与对照组各形态磷含量无显著差异.在实验结束时，苦草组IP含量较实验开始时上升了2.67 %，其中，NaOH-P和HCl-P升高量分别占IP升高量的58.46 %和35.57 %.由于各形态磷的不同组成及结合特点，导致各形态磷升高的原因也存在较大差异.在IP含量的变化中，NaOH-P含量变化幅度大于HCl-P，这主要和沉积物磷的结合性质有关.NaOH-P是与沉积物中易发生还原作用的铁、铝氧化物或氢氧化物结合的磷.通常认为这部分磷是较易于释放的，同时被认为是可被生物利用的磷[34, 54-55]，在NaOH-P中磷主要以化学吸附的方式吸附于沉积物表面，因此在沉水植物苦草衰亡期沉积物中NaOH-P的升高主要是由于沉积物Fe、Al吸附水体中活性磷所导致的.HCl-P主要指与自生磷灰石、沉积碳酸钙以及生物骨骼等的含磷矿物有关的沉积磷存在形态，主要来自于生物颗粒的沉积和早期成岩作用形成的氟磷灰石，它是沉积物中较为稳定的磷形态，较难为植物所利用，因此，在实验结束时沉积物中HCl-P增长幅度较小.在实验结束时苦草组OP含量较实验开始时无显著差异，OP包括由陆源性排放物质组成的难降解性有机磷部分和由死亡的水生生物尸体组成的可降解性有机磷部分.其中可降解有机磷部分可以在早期成岩过程中随有机质的降解而释放，甚至向其它结合态磷转化[57-60].湖泊沉积物中OP具有部分活性，但是OP结构相对较稳定，植物利用相对较难.因此，在本实验条件下，沉水植物苦草在衰亡期对沉积物中各形态磷含量并未出现显著影响. David LC. The role of phosphorus in the eutrophication of receiving water:a review. Journal of Environment Quality, 1998, 27: 261-266. 王国祥, 濮培民, 张圣照等. 人工复合生态系统对太湖局部水域水质的净化作用. 中国环境科学, 1998, 18(5): 410-414. 颜昌宙, 许秋瑾, 赵景柱等. 五里湖生态重建影响因素及其对策探讨. 环境科学研究, 2004, 17(3): 44-47. 秦伯强, 高光, 胡维平等. 浅水湖泊生态系统恢复的理论与实践思考. 湖泊科学, 2005, 17(1): 9-16. 文明章, 李宽意, 王传海. 水体的营养水平对苦草(Vallisneria natans)生长的影响. 环境科学研究, 2008, 21(1): 74-77. 王圣瑞, 金相灿, 赵海超等. 沉水植物黑藻对上覆水中各形态磷浓度的影响. 地球化学, 2006, 35(2): 179-186. 吴振斌, 邱东茹, 贺锋等. 沉水植物重建对富营养水体氮磷营养水平的影响. 应用生态学报, 2003, 14(8): 1351-1353. 潘慧云, 徐小花, 高士祥. 沉水植物衰亡过程中营养盐的释放过程及规律. 环境科学研究, 2008, 21(1): 64-68. Gao J, Xiong Z, Zhang J et al. 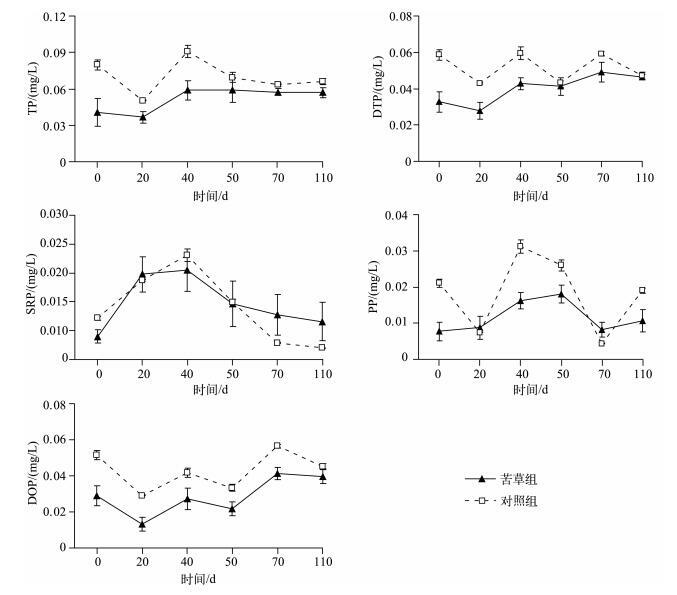 Phosphorus removal from water of eutrophic Lake Donghu by five submerged macrophytes. Desalination, 2009, 242(1/3): 193-204. 成小英, 王国祥, 濮培民等. 凤眼莲腐烂分解对湖泊水质的影响. 中国环境科学, 2004, 24(3): 303-306. 朱梦圆, 朱广伟, 钱君龙等. SMT法插标分析沉积物中磷的地球化学形态. 中国环境科学, 2012, 32(8): 1502-1507. 俞振飞, 王国祥, 钱君龙等. SMT法测定沉积物标准样品有机磷形态分析方法探究. 中国环境监测, 2013, 29(3): 117-122. Kocy M, Wilson SD. Litter decomposition and nitrogen dynamics in Aspen forest and mixed-grass prairie. Ecology, 1997, 78(7): 732-739. Jansson PE, Berg B. Temporal variation of litter decomposition in relation to simulated soil climate:Long-termd ecom position in a Scots pine forest. Canadian Journal of Botany, 1985, 63(4): 1008-1016. Melillo JM, Naiman RJ, Aber JD et al. Factors controlling mass loss and nitrogen dynamics of plant litter decaying in northern streams. Bulletin of Marine Science, 1984, 35: 341-356. 叶春, 王博. 沉水植物黑藻早期分解过程及影响因素研究. 中国农学通报, 2009, 25(17): 260-264. Wang SR, Jin XC, Bu QY et al. Effects of dissolved oxygen supply level on phosphorus release from lake sediments. Colloids and Surfaces A:Physicochemical and Engineering Aspects, 2008, 316(1/3): 245-252. Wang SR, Jin XC, Zhao HC et al. 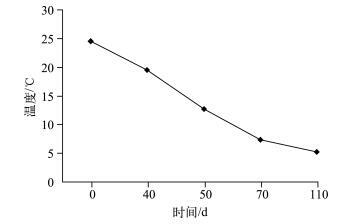 Phosphorus fractions and its release in the sediments from the shallow lakes in the middle and lower reaches of Yangtze River area in China. Colloids and Surfaces A:Physicochemical and Engineering Aspects, 2006, 273(1/2/3): 109-116. Kleeberg A, Kozerski H. Phosphorus release in Lake Groger Muggelsee and its implications for lake restoration. Hydrobiologia, 1997, 342(1): 9-26. Haygarth PM, Condron LM, Heathwaite AL et al. The phosphorus transfer continuum:Linking source to impact with an interdisciplinary and multi-scaled approach. Science of the Total Environment, 2005, 344(1/2/3): 5-14. Jin XC, Wang SR, Pang Y. The adsorption of phosphate on different trophic lake sediments. Colloids and Surfaces A Physicochemical and Engineering Aspects, 2005, 254: 241-248. Kim LH, Choi E, Stenstrom MK. Sediment characteristics, phosphorus types and phosphorus release rates between river and lake sediments. Chemosphere, 2003, 27: 261-266. 王晓蓉, 华兆哲, 徐菱等. 环境条件变化对太湖沉积物磷释放的影响. 环境化学, 1996, 15(1): 15-19. 刘浏, 刘晓端, 徐清等. 密云水库沉积物中磷的形态和分布特征. 岩矿测试, 2003, 22(2): 81-85. 李晖, 周琪, 安淼. 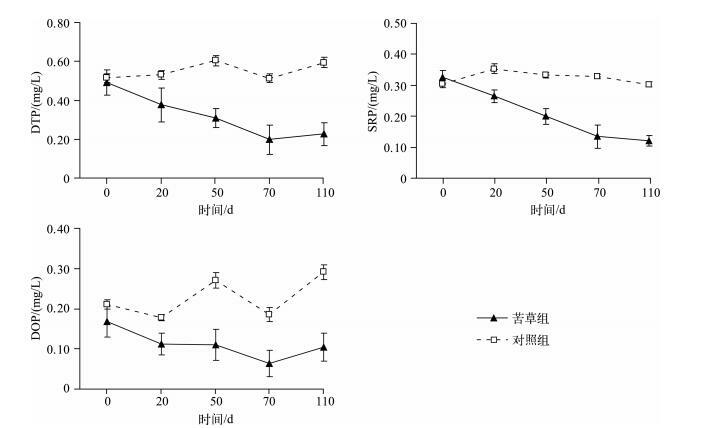 周庄水体内源磷负荷释放规律及其稳定性研究. 上海环境科学, 2003, 22(12): 943-947. 汪家权, 孙亚敏, 钱家忠等. 巢湖底泥磷的释放模拟实验研究. 环境科学学报, 2002, 22(6): 738-742. 王庭健. 城市富营养化湖泊沉积物中磷负荷及其释放对水质的影响. 环境科学研究, 1994, 7(4): 12-20. Kaiserli A, Voutsa D, Samara C. Phosphorus fractionation in lake sediments-Lakes Volvi and Koronia. N Greece Chemosphere, 2002, 46: 1147-1155. Benitez NCR, O'Neill Madden LP, Styles RM et al. Inorganic and organic sinking particulate phosphorus fluxes across the oxic/anoxic water column of Cariaco Basin, Venezuela. Marine Chemistry, 2007, 105(1/2): 90-100. Turner BL. Organic phosphorus in Madagascan rice soils. Geoderma, 2006, 136(1/2): 279-288.